See what you missed at GAMA Trade Show this year and learn about our newest mini series: Friendly Local Game Stories. We can't talk about Dungeons & Dragons without discussing a very real threat within the hobby: Dice Addiction. To my knowledge - the only cure for it to gather more dice in fancier materials in hopes that those that have been foretold at last make an appearance and the hunger subsides. What I can say is that at some point: plastic will no longer satisfy our wanton need for fate touched polyhedrals. We need something that honors the weight of our heroic decisions and Metallic Dice Games offers a large span of metal dice to satisfy your cravings at an affordable price! 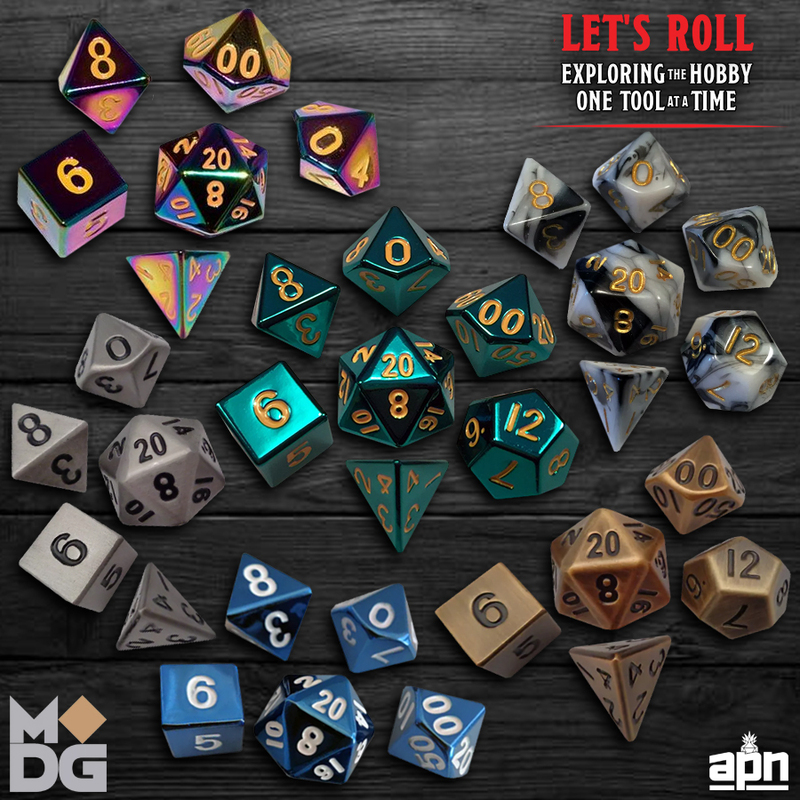 Whether you want dice that feel like gold nuggets or a set that feels like it got lost in the fey wild, you'll find a shining rainbow of options at your FLGS!